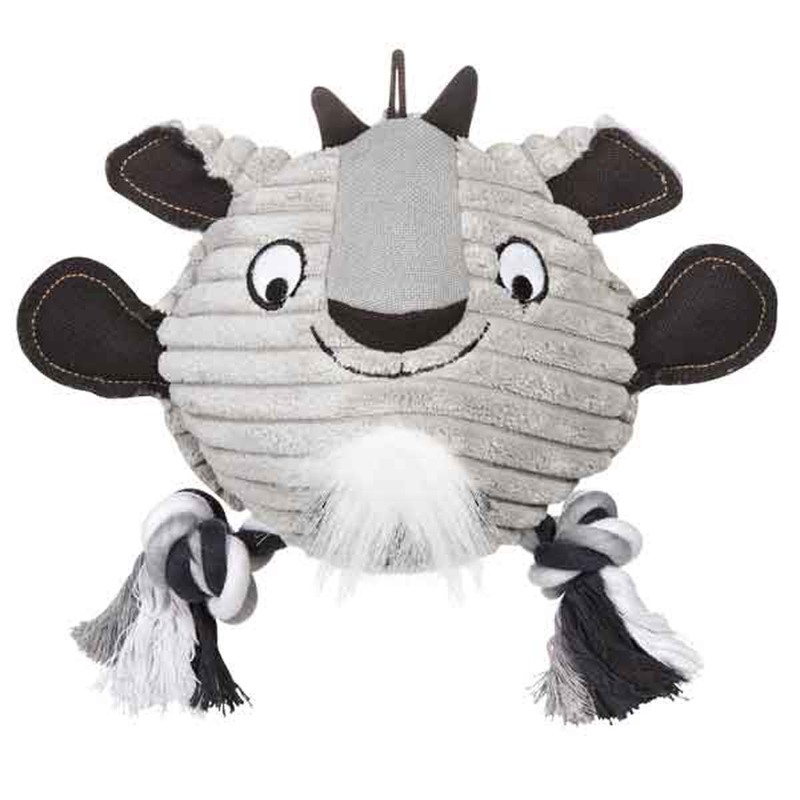 These rugged tear-resistant cows feature a sport-mesh inner layer and an adorable tuggable time with the Grriggles Free-Range Friends Dog Toy Goat! Tug and toss up some fun with the Grriggles® Free-Range Friends. Boast a rugged tear-resistant sport-mesh inner layer, with a cute corduroy and rope exterior to entice fun. Made of Corduroy, canvas, rope. 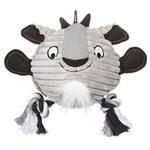 Your dog will love to really tug on this goat and his free-range friends each sold separately. Caution: Do not allow pet to play with toy if it becomes torn. Supervision is advised.